When VUHL introduced its ’05’ in 2013, it immediately stood out with its ultra-lightweight construction, and eco-conscious design sensibility; its just over 1,500-pound curb weight allows the 4-cylinder Ford engine to stretch out. 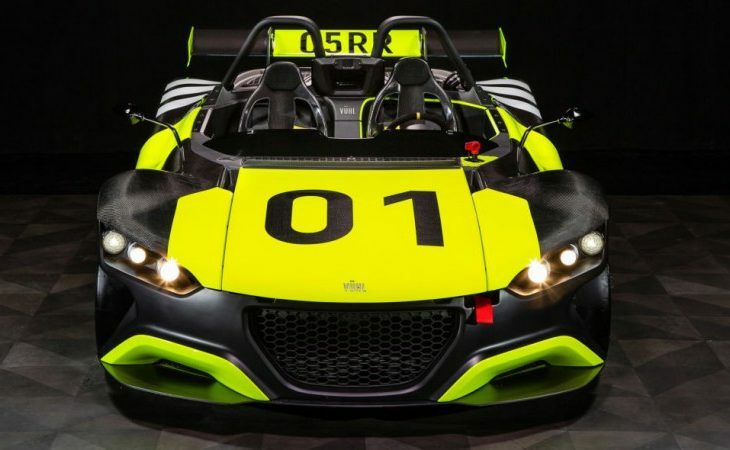 The VUHL 05RR follows as the brand’s street-legal racer. The roadster weighs in at just 1,410 pounds. The 05RR is an open-topped sports car with the same 2.3-liter Ecoboost 385-HP engine as its sibling. It gets an update with a lowered powertrain that provides better grip and center of gravity. The new 05RR builds on its unique look a higher rear wing to assist in lateral acceleration and weight distribution. Other updates include a lighter racing clutch and flywheel, and the addition of carbon wheels. This latest VUHL arrives with astute timing: the new model variation makes its inaugural appearance just before the Race of the Champions event. It can launch to 60 mph in just 2.7 seconds, so it should fit right in.